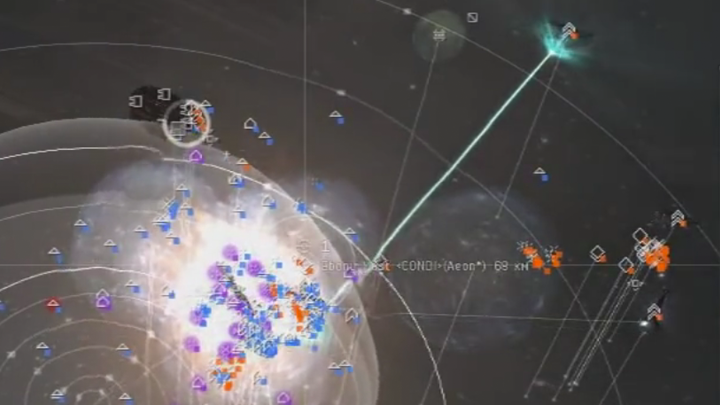 Goonswarm Federation has often dismissed the efforts of Mordus Angels (MoA) and Out of Sight (OoS) as being ineffective and “only ever killing AFK ratting Isthars.” These attempts at damage control become less and less justifiable in the face of mounting Imperium losses at the hands of MoA and OoS. The CFC has been regularly using capital assets to overwhelm the smaller MoA/OoS incursions into their territory. Previously the Imperium lost a number of capitals in the system of D7T-CO.
MoA and OoS then went to work setting up an ambush in Goonswarm’s very own capital system of YA0-XJ. They used the new entosis modules to harass the system’s station. Knowing they would drop caps, they also set up various drag bubbles. The Goons warp a Ragnarok to their station in an attempt to ward off the MoA/OoS attack. As the Ragnarok lands in the bubbles, it quickly aligns out and attempts to get away. Its smart bomb cycles hoping to destroy the Intredictor tackle keeping it pinned. For a brief moment one of the bubbles keeping the Titan tackled vanishes only to have another go off seconds later. If panic has not yet set into the pilot, it has certainly made a home in their mind as OoS dreads warp in landing in the bubbles at the Titan’s 10 and 11 o’clock. A redundancy of hictor bubbles sprout up and any notion that the Titan may have been able to escape by itself ceased to exist. Local begins to climb as the opening salvos smash away at the Ragnarok’s formidable shield defenses. 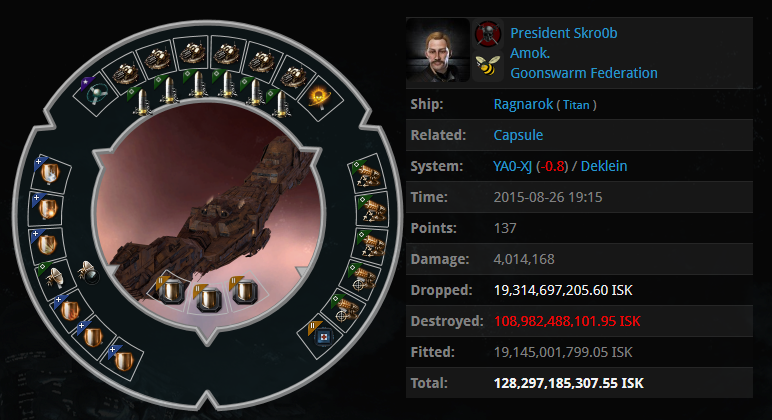 Imperium reinforcements cyno in as the Titan hits 10 percent in shields. An Imperium Avatar lets loose its ravaging doomsday sundering a OoS dreadnaught, but to no avail, the Ragnarok is already in structure and quickly drops further. As a second doomsday goes off, this time an azure beam from a Gallente Erebus, but it is all for nothing as the Ragnarok’s death is claimed as trophy by its assailants. Sentiments of joy flush across comms for the attackers, while the Ragnarok’s comrades seek to exact whatever punitive justice they could deal. A third Imperium doomsday scorches the sky finding its mark and as more Titans and heavy Imperium reinforcements arrive, swelling local to over two hundred. A fourth Imperium doomsday strikes its target in conjunction with a fifth and sixth following quickly behind. The OoS dreads, knowing there is no escape, attempt to take another Imperium ship down with them. 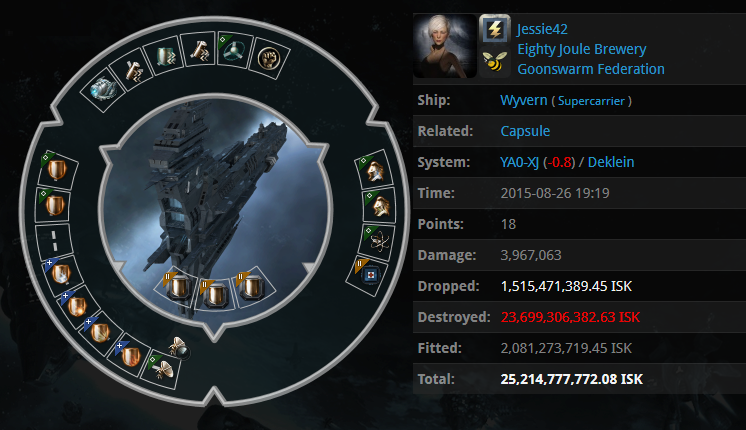 The initial attempt on an Aeon is abandoned as the super hits 90 percent armor. Instead a Wyvern that is closer to the dread’s awesome arsenal is chosen. Its shields are quickly stripped away quickly meeting the same fate as the Ragnarok it attempted to help save. A second Imperium cyno it lit signaling the MoA/OoS force to extract what was left of their fleet. The battle report can be found here. If you like reading a blog, what kind of interesting things that make you like that blog? Give me your favorite blog links too.. I want to make my own Blogger layout because none of the ones I have found incorporate my Header correctly/match with my Header that I want to use. Is there a website that can teach me how to do this? (I also do not have Photoshop, so I need to use another software than that to design). Thank you!. Spot on with this write-up, I truly believe that this web site needs much more attention. I’ll probably be back again to read through more, thanks for the advice! How do I start a website? I know that I have to buy a domain or something like that? I simply want to mention I’m very new to blogs and certainly loved your web blog. More than likely I’m planning to bookmark your blog . You actually come with superb articles. Thanks a lot for sharing your web site. Have you ever consideredthought about includingadding a little bit more than just your articles? I mean, what you say is valuablefundamentalimportant and alleverything. NeverthelessHoweverBut think ofjust imaginethink aboutimagine if you added some great visualsgraphicsphotospicturesimages or video clipsvideos to give your posts more, “pop”! Your content is excellent but with imagespics and clipsvideo clipsvideos, this sitewebsiteblog could undeniablycertainlydefinitely be one of the most beneficialvery bestgreatestbest in its nichefield. AwesomeAmazingVery goodTerrificSuperbGoodWonderfulFantasticExcellentGreat blog! I just want to tell you that I am just new to weblog and certainly savored this website. Very likely I’m going to bookmark your website . You definitely have perfect well written articles. With thanks for sharing with us your website. Wow, incredible blog structure! How lengthy have you ever been running a blog for? you made running a blog glance easy. The total glance of your website is magnificent, as neatly as the content material! you may have an excellent weblog here! would you prefer to make some invite posts on my weblog? Starting with registering the domain and designing the layout. SimplyJust want towish todesire to say your article is as astonishingamazingsurprisingastounding. The clearnessclarity for youron yourin yourto your postsubmitpublishput up is simplyjust spectacularniceexcellentcoolgreat and iand that i cancould thinkassumesuppose you areyou’re a professionalknowledgeablean expert in thison this subject. WellFine with yourtogether with youralong with your permission allowlet me to take hold ofgrabclutchgraspseizesnatch your RSS feedfeed to staykeep up to dateupdated with drawing closeapproachingcoming near nearforthcomingimminentimpending post. Thank youThanks a millionone million1,000,000 and please keep upcontinuecarry on the gratifyingrewardingenjoyable work. I have been surfing online more than 3 hours today, yet I never found any interesting article like yours. It is pretty worth enough for me. Personally, if all site owners and bloggers made good content as you did, the net will be much more useful than ever before. What are the most effective internet sites and blogs devoted to reading and also literary works? I keep a number of blog sites & discussion forums and allow individuals to create their discuss them. I inspect on a regular basis as well as get rid of any kind of swear words, etc. I additionally ask commentors not to leave any kind of bad terms on the blogs/forums. Nonetheless, that stated, am i still lawfully in charge of the material on my blog/forums if they write a vilifying comment or violent comments?. Lots of thanks. Wow, incredible blog layout! How long have you been blogging for? you make blogging look easy. The overall look of your web site is fantastic, as well as the content! Hi, Neat post. There’s an issue with your site in web explorer, could check this¡K IE still is the marketplace chief and a huge portion of folks will omit your magnificent writing because of this problem. Leave a Reply to this link Click here to cancel reply.